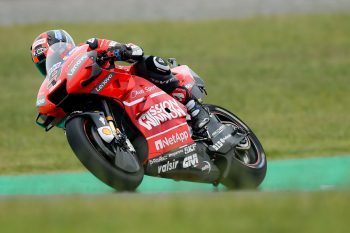 Mission Winnow Ducati rider targeting optimised approach in race management. Danilo Petrucci is predicting increased potential at the Circuit of the Americas this weekend for round three of the 2019 MotoGP World Championship, a venue that doesn’t typically play into the Ducati’s strengths. Finishing sixth at Argentina, the Italian ace has declared he’s targeting a more optimised approach in his race management, acknowledging a strong starting position will be key to truly benefit this weekend. “However, in Argentina, another tough circuit for us, we reacted well despite the fact that our weekend didn’t begin in the most ideal way. In general, we struggle more than others under acceleration at high lean angles because of my weight, but we’re improving in terms of tyre consumption. Petrucci is ranked fifth in the points standings as reigning champion Marc Marquez (Repsol Honda) sits atop the classification.